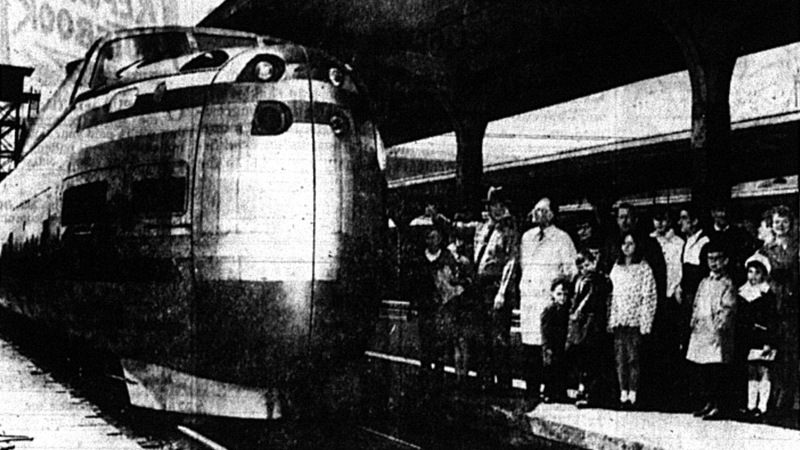 April 21, 1969: Will high speed trains soon be barreling through Central Terminal? "United Aircraft's TurboTrain ... is a vehicle right out of the jet age. 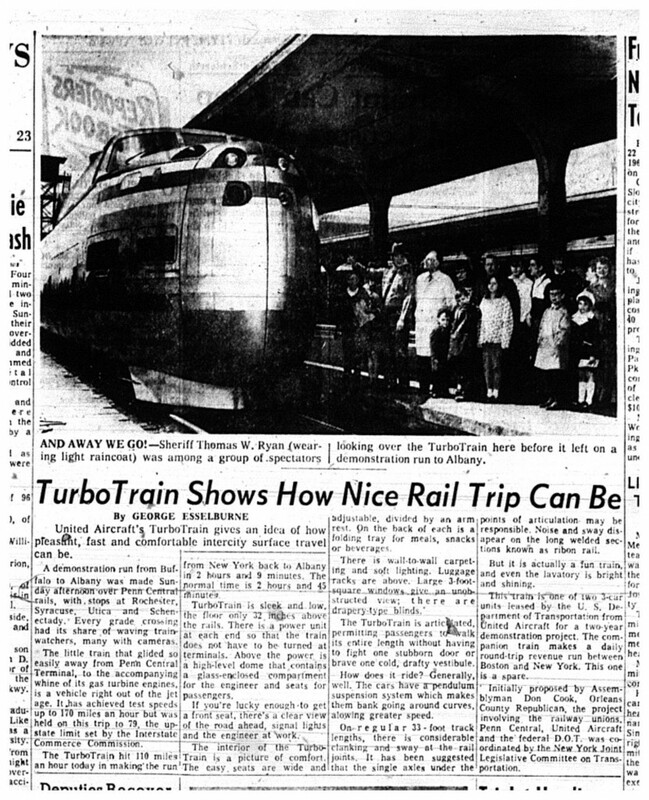 It has achived test speeds up to 170 miles an hour but was held on this trip to 79, the upstate limit set by the Interstate Commerce Commission."